landscape of technology. IT outsourcing has a variety of benefits for companies. 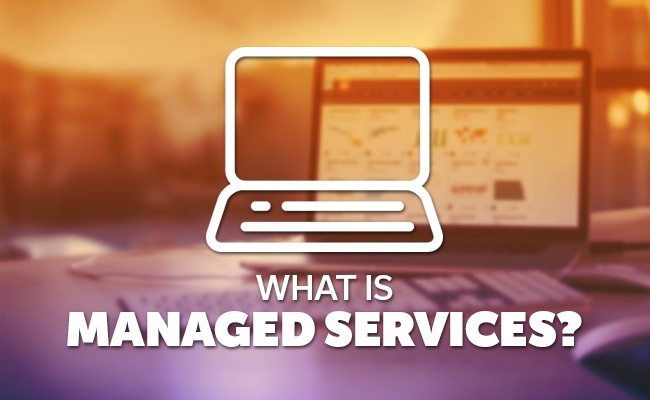 But what exactly is managed services? In a nutshell, managed service providers are companies that take on the IT responsibilities for a company. This can include everything from hardware updates and training to security to automated workflows. 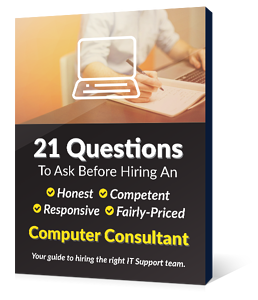 By taking over the 24/7 task of managing an IT system, this reduces or eliminates the need for an expensive in-house IT team and often provides better service. For this reason, IT outsourcing to managed services has become increasingly popular. IT outsour cing is not a new concept. For as long as there has been technology, there has been the need to hire someone to maintain it. For companies without an in-house IT person, or for problems beyond their scope, outside IT professionals would have to be hired to fix any problems as they arose. However, this so-called “break-fix” model is inefficient and expensive, causing sometimes lengthy business interruptions. Problems could not be predicted and prevented. As technology developed, systems were able to give early alerts, allowing action to be taken to fix problems before they stopped business. However, they were cost-prohibitive for small and medium businesses until approximately 2005. With this shift in technology came the managed services industry, and IT outsourcing changed its model to prevent problems rather than just fixing what was already broken. The goal of managed services is to keep your business running efficiently by anticipating problems, providing preventative maintenance, and responding promptly when a problem arises. As technology grows more complex with each passing year, managed service providers are able to keep you up-to-date and bring their expertise to benefit your company. With in-house IT resources being expensive and limited, IT outsourcing provides a whole team of experts to your service whenever you need it. They ensure your system stays updated on security patches, software changes, and other issues to keep your system from breaking down. Of course, if someone does break, your managed service provider will be there as soon as possible to fix it. By providing a single point of contact for all IT issues, IT outsourcing eliminates “turf wars” when multiple pieces of equipment are involved. Many managed service providers operate on a flat monthly fee, based on the number of devices, complexity of the system, and level of service you require. There are typically a variety of packages to choose from including 24/7 monitoring, alerts, and on-site support. Because the pricing is pre-determined, you can budget effectively for all your IT needs. With an increased level of service, many businesses expect managed services to cost more than their previous IT outsourcing companies. However, this perception is false. Managed services typically cost less than “break-fix” IT services. By detecting problems before your business is interrupted, they can often save you money in the long run. As your technology changes, your business needs to be able to keep up with maintenance, upgrades, and security. IT outsourcing to managed service providers allows you to give that responsibility to experts in the field, so you can focus on your revenue-generating tasks. Managed services can provide for all your IT needs at a low monthly cost, and your business can reap the benefits of this arrangement.